Women’s apparels have undergone so many changes because designers have experimented with styles and designs. Like designer wears, normal casual wears have also become more fashionable, trendy and full of variety. Along with expensive designer outfits like heavy Salwar Suits, Lehengas, or heavily embellished sarees, women need a good collection of formal and casual wears as well. Among this category of apparels, Kurtis is a favourite option for women. Kurtis are good to wear to offices, casual parties, and also for festivals. Kurtis comes in different silhouettes, sizes, designs and fabrics. These are very comfortable to wear and can be paired with different types of lowers. Generally, women tend to keep a good collection of Kurtis of different types according to trends and preferences. 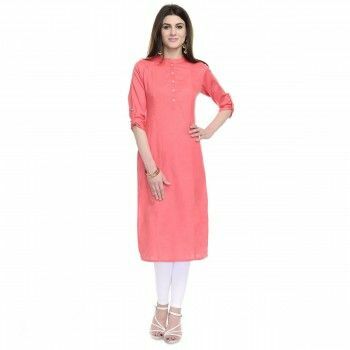 Short kurtis, Tail cut Kurtis, Denim kurtis, Tunic style Kurtis, Anarkali kurtis, Straight Kurtis, Printed Kurtis and others- there is a wide range of Kurti styles to choose from. 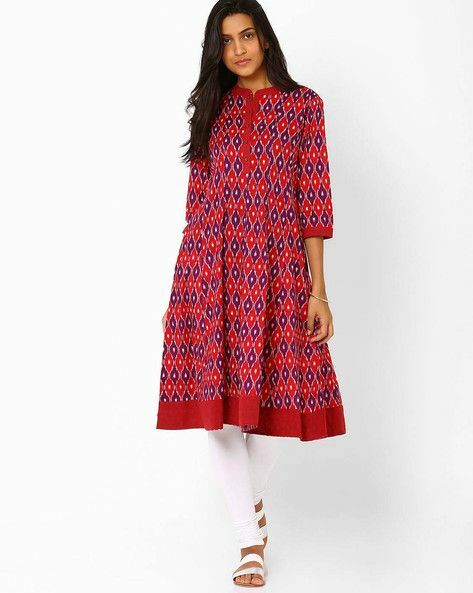 Today, we will list a few common yet trendy types of Kurtis which can be a good addition to your wardrobe and can be worn for different occasions. Short Kurtis: Short Kurtis are a woman’s best friend. They can be paired with different types of leggings and work as both a formal and casual wear. For office wear, choose cotton Kurtis with light prints or bold colours. For other occasions, you can choose shorts kurtis accordingly. Straight Kurtis: Straight kurtis, either short or long, look perfect on Tall, hourglass, pear-shaped, round and inverted triangle body type. They look great as office wear or college wear. They can also be worn to parties depending on the fabric and embroidery. Straight Kurtis can be paired with palazzos, leggings and churidars. Shirt Style Kurtis: These Kurtis are an apt blend of traditional and contemporary dressing styles. They look stylish and trendy. It suits women of different age groups and can be worn as an office wear or daily wear. They can be paired with jeans, leggings, jeggings etc. Denim Kurtis: Denim Kurtis can be worn with leggings or jeggings if they are short. If they are long, they can be worn in the form of a dress as well. They look trendy and stylish and definitely comfortable to wear. They also suit different body types and available for women of all ages. Flared Kurtis: Flared Kurtis open up from the waist, either with pleats or a complete fabric. They are apt for young to middle-aged women. They suit tall women, pear, round and triangle shaped body types. They can be short or knee length and can be paired with leggings or jeggings. 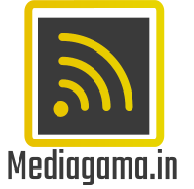 You can buy amazing designer and casual Kurtis on online shopping portals at affordable prices. Sometimes, designer short Kurtis can be worn for evening parties as well with the right kind of accessories. A collection of assorted Kurtis is like a life saver for women because they can mix and match to suit for different occasions. A nice Kurti can make a woman look chic, trendy and up to date.